A chieftain of the All Progressives Congress (APC), Mrs Ibifuro Tatua, on Friday spoke on the entrepreneurial acumen of the party’s gubernatorial candidate in Rivers State, Mr Tonye Cole, saying he is the perfect antidote to Governor Nyesom Wike. She also gave insight into the blue print of the Rivers State APC governorship flag bearer. Mrs Tatua, Convener of Tonye Cole Volunteer Group, who spoke on Friday at a gathering of Rivers people in Abuja, described Governor Wike as a failure. “Kidnapping and killings have made Rivers State one of the most murderous states in Nigeria,” the politician said. She said Mr Cole would attract foreign direct investment into the state, tackle security challenges, spread the dividends of democracy to all nooks and crannies of Rivers State and generate employment for the people. “Rivers State will experience an era of economic development and good governance,” she said. Mrs Tatua, member of the Board of the National Commission for Nomadic Education, said Mr Cole would defeat Mr Wike in 2019. “Things are going in the wrong direction. Rivers State has changed for the worse under Nyesom Wike. The people are fed up with a mediocre governor,” she said. Known for speaking bluntly, Mrs Tatua advised Rivers people to be steadfast. “Cole has a caring disposition towards the people. 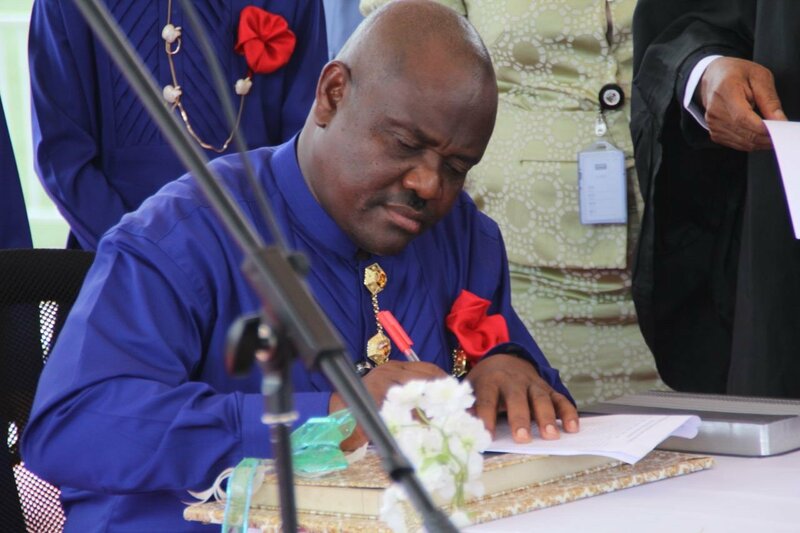 He will put the interests of the state above his own; ensure peace and security and bring positive change to Rivers State,” the Chairperson of South-South Political Congress (SSPC) said. She also praised the Minister of Transportation, Mr Rotimi Amaechi, for defending the interest of Rivers State, empowering the people and carrying out life changing development projects. “Rotimi Amaechi is a good leader and competent public figure,” she added.